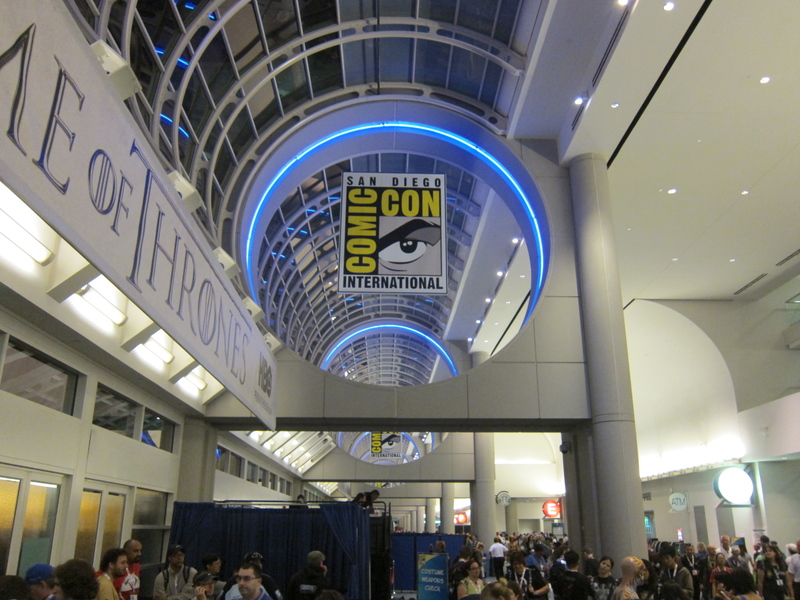 Passes for Comic Con 2014 went on sale yesterday morning and sold out in 80 minutes. Because I was a past attendee of Comic Con I received an e-mail from Comic Con International inviting me to join the pool of people signing up to buy a pass for Comic Con 2014. I knew the odds were against me, but I figured take shot at it. So, I got up early on Saturday morning and signed in the “waiting room”. Unfortunately, I got shut out of the “random” selection process this time around. Of course, I was disappointed, but not surprised. One by one, passes for all 4 and half days were sold out in short order. The Comic Con website sent notifications to all of us in virtual “waiting room ” with the status of passes for each day of the event. First Friday and Saturday were sold out, then Thursday and Wednesday’s “Preview Night” and finally the last day of the event, Sunday, was a goner too. I don’t know exactly how many people came away empty handed, but I’m sure there were a lot. The demand for passes far, far exceeds the supply. It has been that way for years. A year or two ago Comic Con considered moving to other locations, ones that could accommodate even larger numbers than those which Comic Con currently attracts (about 130,000 attendees the last few years), such Los Angeles or Las Vegas, but Comic Con agreed to stay in San Diego for at least 5 more years when the city agreed to expand the downtown Convention Center. Work on the expansion of the Convention Center will start at the end of 2014 and should be finished in a few years. The physical expansion of the Convention Center should help quite bit, but I think the length of the event itself should be expanded to 6 or 7 days. Some people who want to attend would probably still be turned away, but if the event ran 7 days a lot more people would have an opportunity to attend. What would the down side be? I don’t think the hotels, restaurants and bars in downtown San Diego would complain about the extra business. I think some of the residents of in the Gaslamp and East Village sections of downtown might not be thrilled with Comic Con being expanded for a few days, but the number of people negatively impacted would be relatively small. The vast majority of San Diegans wouldn’t notice a difference between a 4 1/2 day Comic Con and a 6 or 7 day Comic Con. There are many other festivals of various kinds throughout the country that run a week or longer. Take SXSW for example, if South By Southwest in Austin, TX can run for 8 or 9 days why can’t Comic-Con?